Devynn was appointed with the Mission as a field minister with Damascus Road Church in Tucson, Arizona in 2019. She serves the community in many aspects, but her favorite of these is being the leader of underclassmen ministry. For the last two years, Devynn has hosted a Bible study in her apartment, sharing her space and love with young people in a specific season of exploring God and His character. She also has the opportunity to mentor other women in the church. Additionally, Devynn serves on the Damascus Road teaching team, worship team, and creative planning team. In this new chapter, Devynn is excited to see how God will continue shaping her life, using her to advance His kingdom of redemption. Raised in a Christian home, Devynn’s family built her foundation in faith. She was baptized as a young child but chose to be baptized again at Damascus Road Church on December 11, 2016, to reaffirm her commitment to serving the Lord. 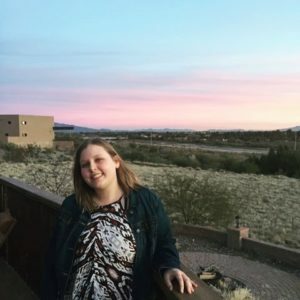 Devynn graduated from the University of Arizona with a degree in International Relations in December of 2018, and currently works part time as an administrative assistant at a homeschooling education center.